Home » Blog » Winter is Coming … Get Your Roof Inspected! Winter is Coming … Get Your Roof Inspected! Fall is the best time to clean your gutters and replace your roof. The leaves are falling and likely clogging your gutter system anyway, and if you’re going to pay someone to clean your gutters, you might as well get your roof inspected while you’re at it. Maybe you don’t need a complete roof replacement, but our Lake Norman roofing experts recommend having your roof inspected at least once every other year to ensure that any potential problems are prevented before they occur. If you haven’t had your roof inspected in a while, now is a great time to get it done! The harsh weather winter usually hits in late January or early February in the Carolinas. Cold precipitation and winter storms may prevent necessary inspections and repairs from happening, and if you do have any problems, water damage may occur. That’s why it’s important to find and fix any issues before the winter storms has a chance to make them worse. Consider hiring a licensed professional roofer in Huntersville NC to inspect your roof. If you need a Huntersville NC roof replacement or if any repairs are necessary, they’ll be sure to let you know about them before it’s too late. Why are regular roof inspections necessary? Not properly maintaining your roof can not only lead to problems with the roof itself; it may also void your warranty. It’s important to take a look at your paperwork and make note of any clauses that require you to undergo regular roof inspections and maintenance. Most Lake Norman roofing companies will perform an inspection for free, so you really have nothing to lose by getting your roof checked. Also, if there is an issue and you’re still under warranty, you may be able to get any repairs covered. Fixing any potential problems now could prevent further damage that will cost you thousands of dollars down the road. What if my roof is brand new? Now is the perfect time to set up a regular maintenance package with the company that installed your roof. Just because it’s brand new, that doesn’t mean problems won’t occur. Winter storm damage could wreak havoc on your roof, especially if it was not properly installed. An inspection from a properly insured, licensed, and bonded roofer can provide you with peace of mind by letting you know of any potential issues upfront, before major damages occur. We offer free roof inspections to residents of Lake Norman, Huntersville, Cornelius NC and surrounding areas. Again, you really have nothing to lose! In fact, you have more to lose by NOT getting your roof inspected. Please don’t take that risk when all it takes is a simple phone call. 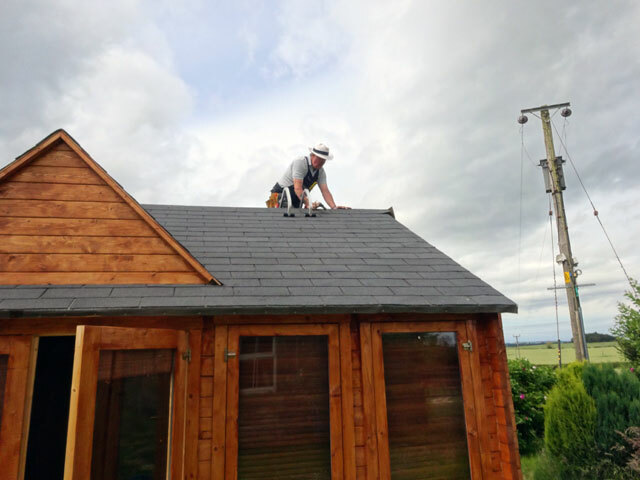 Our roofing contractors are skilled at noticing potential issues and will let you know of any damage that has occurred as a result of normal wear-and-tear or harsh weather. If you have cracked or loose shingles, you could end up with leaks in your roof that will cause further water damage, costing you thousands of dollars. Think how you’ll feel when you realize that it all could have been prevented just by calling a professional roofing Huntersville NC company and having them come out to inspect your roof! I can’t possibly afford a roof replacement right now! What if you find damage and I don’t have the budget to pay for it? Has it been a while since you’ve had your roof inspected? Give us a call today at (704) 508-9870, and one of our Lake Norman roofing contractors will come out to inspect your roof as soon as possible! Check out our YouTube Promo Video!